Syrie James is the author of five critically acclaimed novels, including the bestseller The Lost Memoirs of Jane Austen, The Secret Diaries of Charlotte Bronte, Nocturne, Dracula My Love, and Forbidden. Her books have been translated into eighteen foreign languages. While "The Missing Manuscript of Jane Austen" doesn't involve the ghost of Miss Austen per se, it does involve the ghostly presence of her letter and the allusion to a manuscript written, read to Cassandra and mysteriously lost. This mystery makes one think of a Jane Austen still alive in spirit and mourning the loss of her little unfinished book...longing for someone to find it. This is the stuff of Syrie Janes's mind and her book. A wonderful premise, and an entertaining book in and of itself. 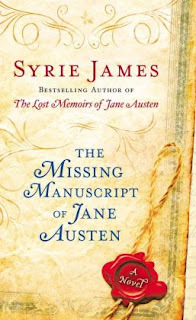 Ms James's very fertile imagination is brought to bear in her novel as she guides us from the discovery of a letter suspected of being written by Miss Austen, to the outcome of finding the lost manuscript amidst the vast library of a country manor's library. I loved the whole intrigue! The setting of England and surround countryside, the manor itself and the characters she develops are fascinating. Main characters Samantha and Anthony are delicious together. The push-pull of their relationship coupled with the mystery of the book they find is beautifully developed. The connection of both the characters in the story and the novel and believable and alive. 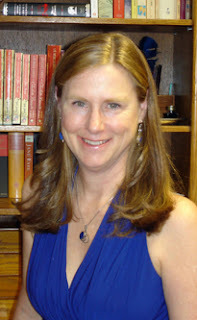 Syrie James is a writer who sparks the visual in us as we read. This is a book a Jane Austen lover cannot miss. Based on the idea of Austen's lost books and notes, this novel takes a "possible" and turns it around to become an absorbing and fascinating probable. A thoroughly enjoyable book which I can highly recommend if you can suspend your belief a little! Ghostly...I can only suspect that Miss Austen haunts more than just Chawton House! I can definitely suspend my belief a little! Looks awesome!